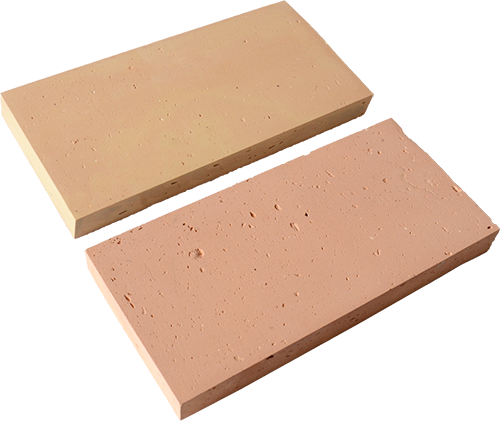 Handmade terracotta brick is slightly irregular both on the surface and on the sides. This feature is an advantage not a flaw. Because of this, the laying will never be without leak , but at least with a 3/4mm leak. To obtain a laying without leak, the only way is to adjust the sides. Fornace Bernasconi is provided with a special machine able to grind sides and make them perfectly fit together. This kind of process, performed after baking, is not a real finish, but rather should be considered in addition to the others (sanded, smooth, etc.). Although is possible to apply this process on all the finishes, its best place is in the polished.